The Council of Trent gave a good, concise definition of contrition: “a sorrow of mind, and a detestation for sin committed, with the purpose of not sinning for the future”. It is evidently more than just a feeling, being rather an act of the will and a decision that has bearing on one’s life. 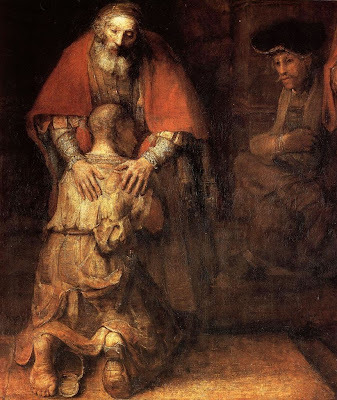 In fact, the Council taught that among all the acts performed by someone approaching the Sacrament of Penance—which include examining one’s conscience, verbally confessing one’s sins and performing penance—contrition “holds the first place”. The difference between perfect and imperfect contrition arises from the motive behind the act. Imperfect contrition obtains when one is repulsed by the ugliness of sin or is afraid of punishment. A person who is contrite about losing his temper because he is mortified by his base behaviour, or a child who is contrite about misbehaving because he fears being punished by his parent, is imperfectly contrite. On the other hand, perfect contrition comes about through love of God and the desire to place him above everything else. Perfect contrition is like that same child being moved to sorrow of misbehaviour not because he fears punishment but because he loves his parents and wants nothing to come between him and them again. The reason I think it is useful to differentiate between imperfect and perfect contrition is that it gives us something to aim at and puts forgiveness in its proper perspective. Imperfect contrition is imperfect because it is not primarily motivated by love of God. If I am sorry for my wrongdoing only because I am ashamed or because I fear punishment, then I can still aim higher: I am placing my own shame or fear at the centre of my contrition rather than God. After all, God calls us to repentance not because he wants us to feel worthless or fearful, but because he wants us to share in his divine life. Thus, perfect contrition is an expression of the highest virtue: charity. In fact, the Church teaches that a Christian who is perfectly contrite is forgiven all his sins, even serious ones. Of course, implicit in perfect contrition is a desire for a sacramental expression of the forgiveness, so serious sins must still be confessed as soon as possible. What this highlights, though, is that the sacramental sign of forgiveness flows from an encounter with a God whose loving desires are greater than our greatest capacity for evil. What, then, of imperfect contrition? If we are to aim at perfect contrition born of charity, then isn’t imperfect contrition, born as it is of fear and shame, to be accounted for nothing? Quite the contrary. It is a first step, and not a bad one at that . The Catechism points out that it “disposes one to obtain forgiveness in the sacrament of Penance”. The fear of punishment that causes a child to be sorry for doing wrong at least gives his parent something to work with and gradually show the child that his wrongdoing affects a relationship. Similarly, if I am contrite before God chiefly out of fear, at least that can propel me towards a sacramental encounter with the Father who will supply what I am lacking. God recognises that we are imperfect and provides a way for us to come to perfect charity in him if our wills are still too weak to find the way. If the above seems too theoretical, there is a symbol found in many places in Sacred Scripture, especially the prophets, that might help get a better idea of what contrition is all about. It is the symbol of God as the faithful husband to an unfaithful wife. Hosea is notable for making it the central motif of his preaching, and the great prophets Isaiah, Jeremiah and Ezekiel all frequently draw on it to great literary effect. Ezekiel 16 is a particularly vivid example of this symbol. The People of God are depicted as a poor, abandoned girl that no one cares about. God comes and rescues her, clothes her, restores her dignity and marries her. The beggar girl is transformed into a queen with magnificent clothes and jewellery. But despite all of this, she is unfaithful to him, taking all these gifts and giving them to other men, prostituting herself out to everyone around her. Because of her behaviour, she naturally becomes an object of scorn and derision and her marriage is shattered. What is most remarkable is that God still desires to be her husband. “I will remember the covenant I made with you in the days of your youth, and I will establish an everlasting covenant with you,” he says (Ez. 16:60). How can it be that God still wants her as his queen, after all she has done?—and what can possibly be her response? At first it may be simply to return to her husband because she is ashamed of her infidelity and tired of living a lie. She may be afraid, too, that she will remain in a spiral of unhappiness unless she returns. This is imperfect contrition. But the astonishing fact is that the Lord loves her more than ever and ardently desires her. What would your response be to such a lover, who wants you with a passion that is greater than any insults you may have flung in his face? What kind of sorrow would you have for the injustice you have committed against him, once you realise the ardour of his boundless love? Ponder that, and you will begin to understand what it is like to possess the perfect contrition that opens the door to God’s unfathomable forgiveness.